"The Australian surfwear brand Billabong has reported much worse than expected results as it continues to try to refinance its debt. It reported a net loss of A$859.5m ($777.8m; £495.1m) for the year ending 30 June, compared with a loss of A$275.6m a year ago. It has written off the value of many of its brands, including cutting the value of the Billabong brand to zero. Its shares fell as much as 15%, having lost more than 60% in the past year. Billabong has been struggling to maintain sales in key markets such as the US and Europe. ... The firm has also been in financial trouble after an international expansion loaded the company with debt [same old story -- undercapitalised, borrrows too much too fast and then chokes -- but a fresh twist, in that money is currently so cheap and has been for the past five years, coinciding with the company's expansion]. ... It has closed 158 of the stores it describes as under-performing, sold the DaKine brand [that looked a good deal, clawing back $70 million on a brand lurking somewhere between niche and nonentity] and all but withdrawn from its Nixon joint venture ...". Whatever the reason, if not that the brand is actually and genuinely worthless, this old-fashioned and impractically idealistic blogger remains uncomfortable at the valuation of an intellectual asset at zero. What do other readers feel? I was also puzzled at this news. If Billabong wants to put its money where its mouth is, I will happily take the Billabong trade marks off their hands at their current value! This has nothing to do with reality, it is financial jiggery-pokery. The two prospective purchasers clearly have the company over a barrel and are looking to pick up a business - which nobody else seems want - for a song. Writing off your principal asset(s) is tantamount to saying that your business is worthless. Is this what they mean by 'creative destruction'? There is nothing strange about this zero valuation--any asset can be worth nothing, including an intangible one. There is nothing "holy" about a brand, especially a virtually defunct one like Billabong. 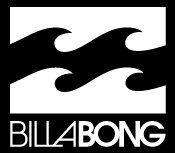 Valuing the Billabong brand at zero appears to be the product of accounting principles more than a true reflection of its real-world value; although its financial performance may have "bombed" in the last few years, it is still a widely recognised brand with years of accrued goodwill, customer loyalty and proprietary designs. We recently wrote about the value of brands in distressed and insolvent scenarios on the Metis blog, and what we found was that it was typically operational and management inefficiencies which caused businesses to suffer rather than a defect in a company's brand. Perhaps the problem with Billabong - as with so many companies before it - is that it failed to adapt to a changing market landscape. Its rapid expansion via acquisition of new brands and retail outlets, which were largely debt-financed, certainly contributed to its current financial position. But as consumer brands such as HMV have demonstrated, it's possible to revamp a business model and trade on the back of a strong brand name. We've seen this very scenario play out first-hand - having helped arrange the sale of the MFI Group's IP assets, it has since had a successful relaunch as an online-only retailer selling furniture, beds and bathroom suites. It seems then that it's Billabong's business operations which need an overhaul rather than the brand itself.